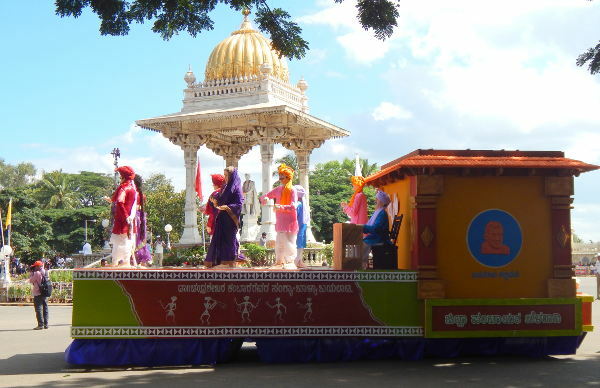 Omkar Nandi, a Belgaumite who had been to Mysore to witness the Famous Dasra ceremony clicked these beautiful images of the tableau’s of Belgaum. The procession consists of dancers, musical bands belonging to State Police, Folk dancers, decorated elephants, horses and camels. 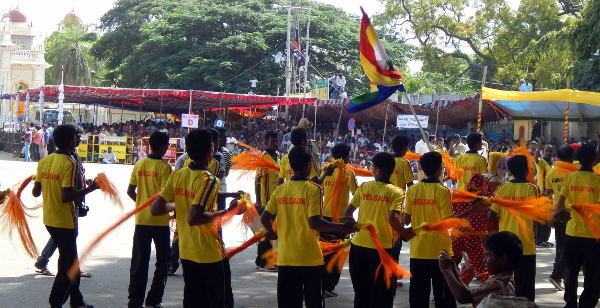 Colorful tableaux created by different State organisations to form an integral part of the procession.